Spas.ie is offering 1 lucky winner the chance to blossom with the “Ultimate Spring Spa Day” package worth €224 from the Maryborough Hotel, Cork. Nestled in the leafy suburbs of Cork, The Maryborough Hotel & Spa is one of the finest luxury hotels in Cork combining the charm and grandeur of a country residence with the luxury of an internationally acclaimed hotel. Just a 5km from the heart of Cork City, this beautifully renovated 18th century house delivers a unique residential experience in an exceptional atmosphere. The Spa at The Maryborough embodies a way of life surrounded by history and nature and offering facilities like Thermal Suites, Rock Sauna, Saunarium, Aroma Steam Bath, Laconium, Vitality Pool, Lifestyle Showers, Ice Fountain and Heated Loungers. Reconnect your senses through the gentle sounds of flowing water, the fragrance of fresh flowers and scented candles. Enjoy the grounding element of wood and stone, calming views of our bamboo gardens and reflective pool. 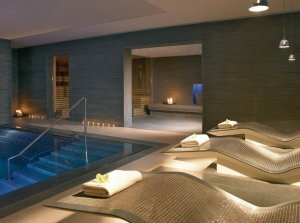 Sophisticated treatments have been uniquely created by ESPA for both men and women using therapeutic influences from around the world along with holistic skin care products.